The show that inspires women to step into the spotlight, be heard and make some noise through podcasting, by shining the spotlight on the Podcast Divas already doing it. 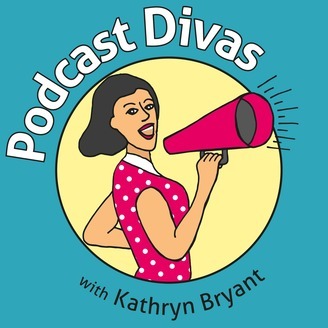 Kathryn Bryant talks to fabulous female podcasters about their podcasting experience. The highs and lows, challenges and opportunities, the day to day realities of being a Podcast Diva and the amazing stories of what podcasting has done for them and their business and interests. These honest in-depth conversations are packed with practical tips, information and advice about how the Podcast Divas do it. It might be their workflow and processes, or the services, software, equipment or productivity hacks that make their shows and lives better and easier, or how to go from scared newbie to confident broadcaster. 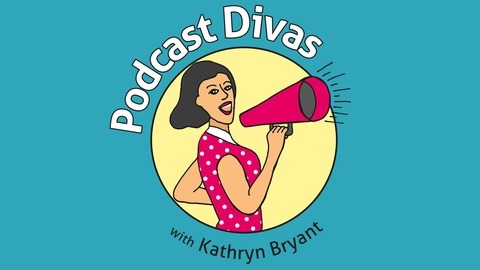 Together with interviews from others with expertise in podcast related subjects and services, this is a show for anyone interested in knowing more about or becoming a Podcast Diva. Show notes and more at PodcastDivas.com Kathryn is also co-host of the award winning Changeability Podcast - Best Self-Help Podcast (UK Podcasters Awards 2015); best-selling Amazon author of Changeability: Manage your Mind – Change your Life; and co-founder of BrilliantLivingHQ.com – Mind Management for Your Best Life and Business. What a great pleasure to welcome the wonderful Helen Zaltzman onto Podcast Divas. Helen is without doubt one of the most accomplished and long serving podcasters in the UK (and world) and thoroughly deserving of the ‘queen of British podcasting’ title I’ve bestowed on her here. This typically modest description belies the fact Answer Me This is a multi award-winning show, one of the longest running British podcasts and an iTunes classic, and the Allusionist was an iTunes show of the year 2015. Helen has what many of us would consider the perfect job – she gets paid for podcasting. It was a joy to talk to Helen about her experience of podcasting over many years and thoughts about possible future directions. Listen in for many insights, observations and lessons, whether you’re a longtime podcaster or just getting started. Just have a go and keep doing it. Set a schedule because then you have to keep going and it’s that regular practice that forms the habits. Persistence is key. Thanks to Helen for being a fabulous and fun guest and to you for listening and being here. If you enjoyed the show it would be great to let Helen and I know, and help get the word out by sharing it and leaving a review on iTunes.